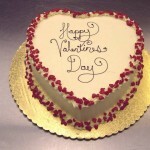 In valentine’s day, decorative boxes have a great role. While sharing gifts with friends or loved one, one should get a well designed Valentine’s Day box. 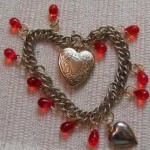 For having such a beautiful box, we are furnished attractive ideas to make bejeweled Valentine’s Day box. 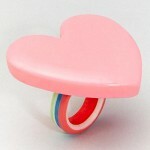 It is great storage equipment for housing valentine gifts like sweets, accessories, cards or treats. So, this article is all about valentine craft for bejeweled Valentine’s Day box for making your presentation superb. 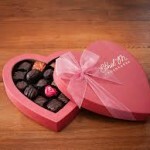 This box will surely enhance your preparations and give your valentine more happiness than ever. So, let’s see how you can decorate a bejeweled Valentine’s Day box as valentine craft. 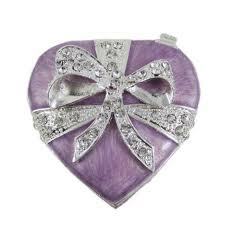 Giving a bejeweled box along with a sweet gift to your valentine has such an astonishing significance. It shows how much you care about each and everything to make your presentation perfect before your love. A bejeweled box does not only increase the value of gift but also affect overall presentation of a presenter. Though, you can get a bejeweled box from market easily, but to create a unique impact, you must make it with your own hands. 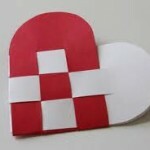 Check out following section to learn the way to make a bejeweled box as a valentine craft. For making a decorative bejeweled box, you should use some creativity. If you are new to crafting, then you can consider this information. For bejeweled box, you should get paint, red ribbon, craft glue and rhinestones. After gathering all supplies, you should paint a box that should be of heart shaped. The color of the paint should be pink or red. After that, glue rhinestones across the box lid and for finished look; bow out the box with a ribbon. Glue the bow over center lid. For attractively cover the bejeweled box, you should get a moiré fabric long strip. The length of this strip should of 1/8 inch wider in comparison to side of the base. Work properly with this bejeweled box to cover sections. Get brush and decoupage glue for aligning fabric edges along with top side edge. After doing this, you should pat the box in place. Trip an overhang to this box and repeat it again for covering the lid with fabric. For decorative lid and base, you require 2 large moiré fabric in square shape. This fabric should be larger than the size of heart. After that, brush the upper side of the second base by using decoupage glue. Press it over center of square fabric. Trim the fabric to 1 and half inches across heart. Use excess fabric to make snips’ series and glue flaps for backing of base. You can also overlap the box with this fabric in case you require. Repeat the process with additional piece of lid and square shaped fabric. With decoupage glue, you can attach tape of coding with both backed pieces and after that, keep it aside to get dry. This is all done with your valentine craft.